Because applying an electrical current to a thermoelectric causes charged particles to diffuse from the material's hot side to their cold side, they are widely used in cooling applications to pull heat out of systems, such as in heat pumps, fiber-optic devices, and car seats—and to control the temperature of battery packs. The process is also reversible and can effectively reclaim "waste heat" to generate useful electricity from hot surfaces, such as a vehicle's tail pipe. 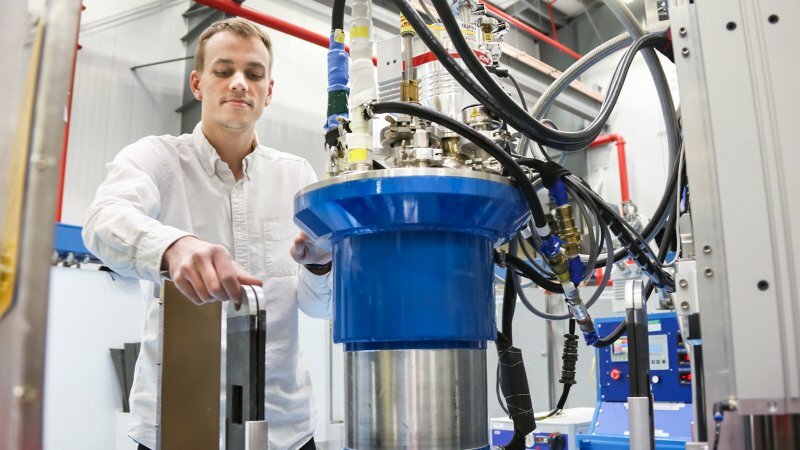 Engineers from Duke University are using cold (lower- energy) neutron scattering techniques at Oak Ridge National Laboratory (ORNL) to study the vibrational motions of atoms, called "phonons," which is how heat propagates through thermoelectric materials. By understanding how phonons move and are scattered within thermoelectrics, the scientists hope to eventually control phonon and electron transport to improve electrical conductivity while minimizing heat flow.